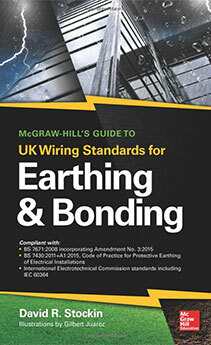 Our engineering manager David Stockin is the author of McGraw-Hill’s Guide to UK Wiring Standards for Earthing & Bonding which discusses above-grade wiring issues and below-grade earthing issues related to electrical earthing and bonding. E&S Earthing Solutions is the premier electrical earthing, and electrical safety consulting firm and contributors to the McGraw-Hill book “Standard Handbook for Electrical Engineers” authoring chapter 24: “Earthing Systems” in the 16th Edition. How does one become earthing and bonding certified?